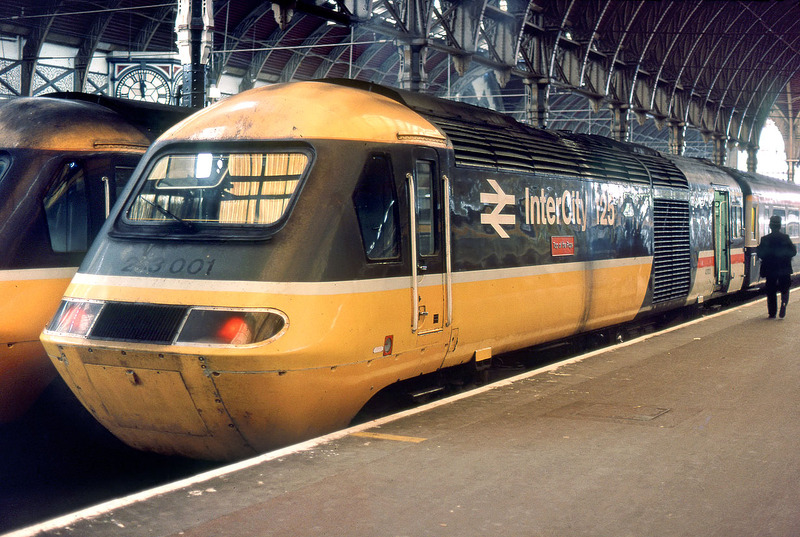 43002 Top of the Pops stands on the blocks at Paddington station on 22 November 1986, shortly after arriving with the 1A24 07:30 service from Plymouth. When this picture was taken it had only been working trains out of Brunel's magnificent station for a decade. I doubt if anyone in those days would have thought it would still be doing it three decades later!